The ground can be improved by adapting certain ground improvement techniques. Vibro-compaction increases the density of the soil by using powerful depth vibrators. Vacuum consolidation is used for improving soft soils by using a vacuum pump. Preloading method is used to remove pore water over time. Heating is used to form a crystalline or glass product by electric current. Ground freezing converts pore water to ice to increase their combined strength and make them impervious. Vibro-replacement stone columns improve the bearing capacity of soil whereas Vibro displacement method displaces the soil. Electro osmosis makes water flow through fine grained soils. Electro kinetic stabilization is the application of electro osmosis. 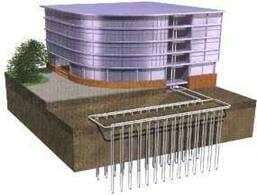 Reinforced soil steel is used for retaining structures, sloping walls, dams etc. 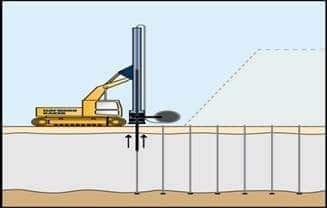 seismic loading is suited for construction in seismically active regions. Mechanically stabilized earth structures create a reinforced soil mass. The geo methods like Geosynthetics, Geogrid etc. are discussed. 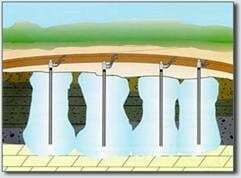 Soil nailing increases the shear strength of the in-situ soil and restrains its displacement. Micro pile gives the structural support and used for repair/replacement of existing foundations. Grouting is injection of pumpable materials to increase its rigidity. The jet grouting is quite advanced in speed as well as techniques when compared with the general grouting. Rapid urban and industrial growth demands more land for further development. In order to meet this demand land reclamation and utilization of unsuitable and environmentally affected lands have been taken up. These, hitherto useless lands for construction have been converted to be useful ones by adopting one or more ground improvement techniques. The field of ground improvement techniques has been recognized as an important and rapidly expanding one. 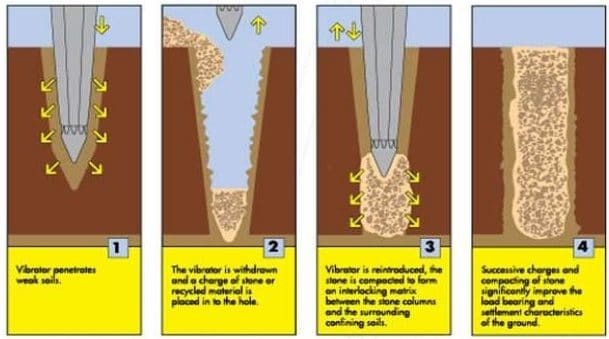 Vibro-compaction, sometimes referred to as Vibroflotation, is the rearrangement of soil particles into a denser configuration by the use of powerful depth vibration. Vibro Compaction is a ground improvement process for densifying loose sands to create stable foundation soils. The principle behind vibro compaction is simple. The combined action of vibration and water saturation by jetting rearranges loose sand grains into a more compact state. 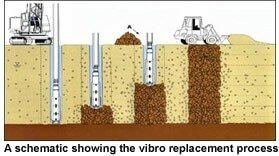 Vibro Compaction is performed with specially-designed vibrating probes. Both horizontal and vertical modes of vibration have been used in the past. Reduction of risk of liquefaction due to seismic activity. Permit construction on granular fills. Vacuum Consolidation is an effective means for improvement of saturated soft soils. The soil site is covered with an airtight membrane and vacuum is created underneath it by using dual venture and vacuum pump. 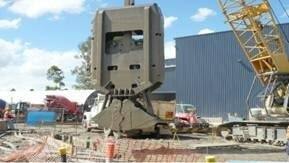 The technology can provide an equivalent pre-loading of about 4.5m high conventional surcharge fill. Vacuum-assisted consolidation preloads the soil by reducing the pore pressure while maintaining a constant total stress. Replace standard preloading techniques eliminating the risk of failure. Combine with a water preloading in scare fill area. 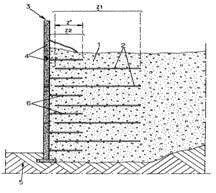 The method is used to build large developments on thick compressible soil. Preloading has been used for many years without change in the method or application to improve soil properties. Preloading or pre-compression is the process of placing additional vertical stress on a compressible soil to remove pore water over time. The pore water dissipation reduces the total volume causing settlement. Surcharging is an economical method for ground improvement. However, the consolidation of the soils is time dependent, delaying construction projects making it a non-feasible alternative. The soils treated are Organic silt, Varved silts and clays, soft clay, Dredged material The design considerations which should be made are bearing capacity, Slope stability, Degree of consolidation. Heating or vitrification breaks the soil particle down to form a crystalline or glass product. It uses electrical current to heat the soil and modify the physical characteristics of the soil. Heating soils permanently alters the properties of the soil. Depending on the soil, temperatures can range between 300 and 1000 degree Celsius. The impact on adjacent structures and utilities should be considered when heating is used. . Ground freezing is the use of refrigeration to convert in-situ pore water to ice. The ice then acts as a cement or glue, bonding together adjacent particles of soil or blocks of rock to increase their combined strength and make them impervious. The ground freezing considerations are Thermal analysis, Refrigeration system geometry, Thermal properties of soil and rock, freezing rates, Energy requirements, Coolant/ refrigerant distribution system analysis. Vibro-Replacement extends the range of soils that can be improved by vibratory techniques to include cohesive soils. Reinforcement of the soil with compacted granular columns or “stone columns” is accomplished by the top-feed method. The important Vibro-replacement stone columns are Ground conditions, Relative density, Degree of saturation, Permeation. The stone columns and intervening soil form and integrated foundation support system having low compressibility and improved load bearing capacity. In cohesive soils, excess pore water pressure is readily dissipated by the stone columns and for this reason, reduced settlements occur at a faster rate than is normally the case with cohesive soils. A segmental, precast facing mechanically stabilized earth wall employs metallic (strip or bar mat) or geosynthetic (geogrid or geotextile) reinforcement that is connected to a precast concrete or prefabricated metal facing panel to create a reinforced soil mass. The reinforcement is placed in horizontal layers between successive layers of granular soil backfill. Each layer of backfill consists of one or more compacted lifts. A free draining, non plastic backfill soil is required to ensure adequate performance of the wall system. For walls reinforced with metallic strips, load is transferred from the backfill soil to the strip reinforcement by shear along the interface. For walls with ribbed strips, bar mats, or grid reinforcement, load is similarly transferred but an additional component of strength is obtained through the passive resistance on the transverse members of the reinforcement. Facing panels are typically square, rectangular, hexagonal or cruciform in shape and are up to 4.5m ^2 in area. MSEW- Mechanically Stabilized Earth Walls, when the face batter is generally steeper than 70 degrees. RSS- Reinforced Soil Slopes, when the face batter is shallower. RSS structures are cost effective alternatives for new construction where the cost of embankment fill, right-of-way, and other consideration may make a steeper slope desirable. Another use of reinforcement in engineered slopes is to improve compaction at the edges of a slope to decrease the tendency for surface sloughing. Current practice consists of determining the geometric reinforcement to prevent internal and external failure using limit equilibrium of analysis. The fundamental concept of soil nailing consists of reinforcing the ground by passive inclusions, closely spaced, to create in-situ soil and restrain its displacements. The basic design consists of transferring the resisting tensile forces generated in the inclusions into the ground through the friction mobilized at the interfaces. Micropiles are small diameter piles (up to 300 mm), with the capability of sustaining high loads (compressive loads of over 5000 KN).The drilling equipment and methods allows micropiles to be drilled through virtually every ground conditions, natural and artificial, with minimal vibration, disturbances and noise, at any angle below horizontal. The equipment can be further adapted to operate in locations with low headroom and severely restricted access. In India, in some circumstances steel pipes, coated wooden piles are used as cost-effective Options in improving the bearing capacity of foundation or restrict Displacements to tolerable levels and similar uses in stabilization of slopes, strengthening of foundations are common. Sridharan and Murthy (1993) described a Case study in which a ten-storeyed building, originally in a precarious condition due To differential settlement, was restored to safety using micropiles. 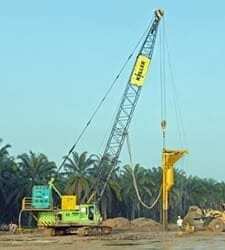 Galvanized steel Pipes of 100 mm diameter and 10 m long with bottom end closed with shoe, driven at An angle of 60o with the horizontal were used and the friction between the pile and the soil was used as the design basis in evolving the remedial measures. Grouting is the injection of pumpable materials into a soil or rock formation to change the physical characteristics of the formation. Grouting selection considerations are Site specific requirement, Soil type, Soil groutability, Porosity. Grouting can be prevented by Collapse of granular soils, Settlement under adjacent foundations, Utilities damage, Day lighting. Grouting can provide Increased soil strength and rigidity, reduced ground movement, Predictable degree of improvement. Establish objectives of grouting program. Refine design and prepare specifications. 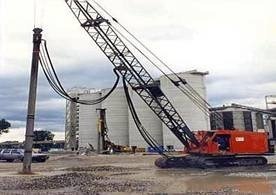 Jet grouting is a general term used by grouting contractors to describe various construction techniques used for ground modification or ground improvement. Grouting contractors use ultra high-pressure fluids or binders that are injected into the soils at high velocities. These binders break up the soil structure completely and mix the soil particles in-situ to create a homogeneous mass, which in turn solidifies. This ground modification / ground improvement of the soil plays an important role in the fields of foundation stability, particularly in the treatment of load bearing soils under new and existing buildings; in the in-depth impermeabilization of water bearing soils; in tunnel construction; and to mitigate the movement of impacted soils and groundwater.